Below is the historical recap of what is now Win Hawkins Oak Grove Hunting Club. If you’d like to read more historical articles about the life of Win Hawkins and our historical camp, you can click the links below. Enjoy! In 1932, a successful Lafayette oil man began a life-long quest to satisfy his love of the out-of -doors. Win Hawkins’ chief enjoyment was any and every occasion that brought him to his beloved Cameron Parish marsh where he hunted ducks. As a crack shot, story teller and raconteur, all around fine fellow and generous sportsman, he earned the respect, admiration and friendship of the Cajun community of that coastal paradise. When World War II began, the War Department recognized Win’s value to the defense of the Homeland. Win was commissioned, in the Coast Guard, and charged with the responsibility of organizing the able-bodied residents of Cameron into a vigilant coastal patrol. With Nazi submarines in the Gulf attacking cargo vessels and attempting to land spies, his men’s rescue efforts saved many a torpedoed mariner and an odd downed airman or two as well. The vigilance of these sharp-eyed guardsmen on horseback became legendary and German landing parties gave their beaches wide berth. After the war, Win returned to the oil exploration and production business. And to his favorite pastime, duck hunting. 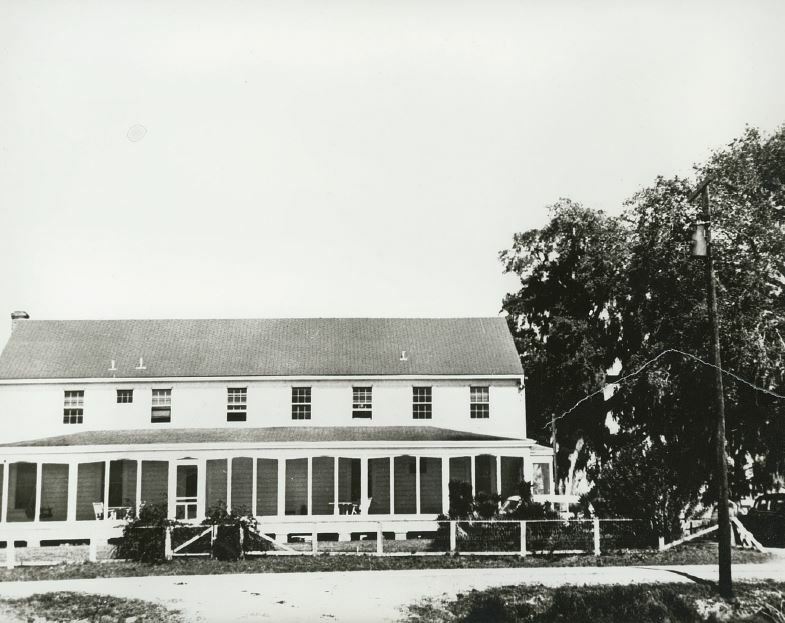 Establishing a series of trails and blinds, on marshland leased from the Miller family and the Miami Corporation, he had a wonderfully spacious and comfortable lodge constructed where he could entertain friends. And the guides? Former Coastal Patrolmen who continued to enjoy proximity to their affable leader. Wishing to insure continued access to the wonderful duck hunting found in his coastal marsh, several of his closest friends persuaded Win Hawkins to form a club, Win Hawkins Oak Grove Hunting Club, in which they could join and to which they could contribute. 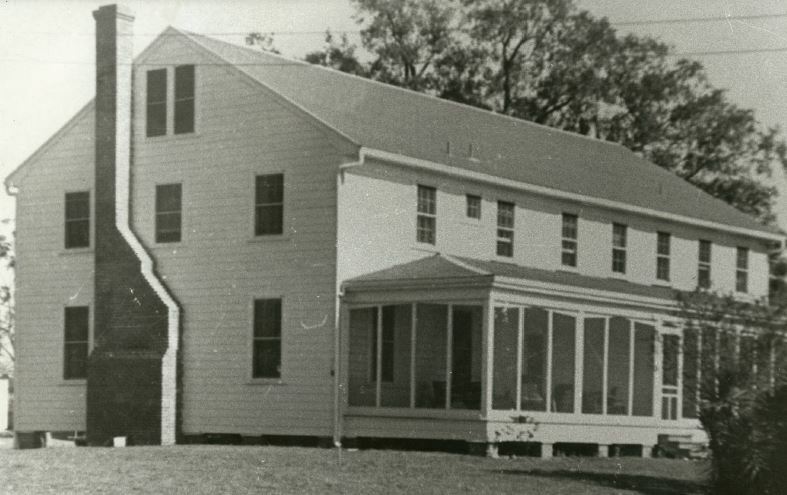 In 1957, when, without warning, Hurricane Audrey inflicted terrible suffering and such deadly destruction on Cameron Parish, many of its citizens perished and the original Oak Grove lodge was lost. Undaunted, a new and even grander lodge arose from the ruins. The members honored Win with the dedication of a Canadian refuge in his name. Then in September of 2005, Hurricane Rita hit the Louisiana coast. By now, everyone knows of the destruction and devastation caused by Hurricane Katrina on Southeast Louisiana. Many folks are not as familiar with the severe damage done by Rita on the parishes in Southwest Louisiana. As the hurricane approached the Texas coast, many in Louisiana thought we would escape the brunt of the storm. But with less than 48 hours before landfall, Rita turned northeast and headed for the Texas-Louisiana border. We were lucky! There was enough warning that the parishes in that part of the state were evacuated thereby sparing the lives of so many that could have been in harm’s way. But that did not stop the destruction. Like Audrey so many years ago, the tides rose, the winds blew (11 hours over 100 mph) and our beloved Cameron parish took a direct hit in the deadly northeast quadrant of the storm. And Oak Grove, that was last hit and destroyed by Audrey, was once again completely blown away. Nothing left but a few scattered remnants of what used to be our beloved camp. A few shotgun shells and dishes scattered here and there. Nothing of any substance that could be salvaged. Nothing but the gates and our mailbox remained. The most important thing was that our wonderful long time guides and camp staff were safe! Many lost their homes and belongings, but not their lives. For that, we are so very grateful. So, it was back to square one. What to do? To rebuild or not, and where. After due consideration our members decided to move back toLittle Chenier Road and look for a piece of property there. We did get lucky in 2006 and found a 10 acre tract half way between our old stops 1 and 2 where we launched for hunting. The property had a small trail that led a quarter of a mile or so right back to our Miami Corporation lease. The deal was done. And in 2007 we broke ground (actually 10 ½ feet above sea level and 3 ½ feet above the Rita high water mark for that area) and started construction on the camp. The camp re-opened at Little Chenier in November of 2007 and once again sharing the finest duck hunting in the US with our friends and families.